With a device so iconic, we decided to look back over the last 10 years of the iPhone to celebrate the device in all its glory. But also, to understand the impact it has had on the secondary device market. There are a couple of reasons why the iPhone has been such an iconic device. The first is because it really kick-started the mobile internet revolution. There were phones in the 2000s that did have internet capabilities, but they were slow, and were nothing like the internet experience on a PC. If you added data to your tariff, you would be lucky to get 1MB – certainly not enough to tag you or your friends at your favorite restaurant on Facebook. Aside from the revolutionary user interface and experience, the real reason that the iPhone was such a significant innovation was because Apple had thought well beyond the device – it had developed an entire ecosystem. Central to this was the birth of the App. Apple threw down the gauntlet to developers and they have delivered a plethora of Apps that have changed the way we live – from making payments to retrieving boarding tickets, online dating, booking restaurants and so on. Creating the App Store and in turn, a developer ecosystem, means these apps can be commercialized too. It’s thanks to Apple that we have the phrase “there’s an app for that”! Since the launch of the iPhone, we have seen Apple drive mobile innovation with every new device it’s launched – we’ve gone from the iPhone 3G to the new iPhone 8, iPhone 8 Plus and iPhone X, We’ve seen upgrades to the camera, the introduction of the lightning connector (to the frustration of many who had to buy new docking systems), and not forgetting, our good friend Siri. We’ve also seen the introduction of the Plus devices, meeting market demands for bigger phones, while the 5C and the SE have given consumers the option of an iPhone at a much lower price tag. However, Apple has done a lot more than just create an ecosystem with the iPhone - it has effectively created a secondary market – the used device market. 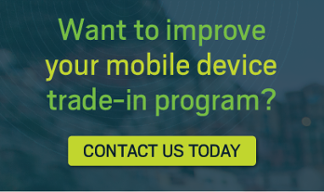 IDC has reported that the global market for used smartphones will grow to over 222 million units in 2020, and will be worth $30 billion – a market that is being driven by device trade-ins. Before iPhones and smartphones came to be, feature phones didn’t really have much of an afterlife – they were either handed down to a relative until they simply stopped working, or put in the back of a drawer. But a few years after the launch of the iPhone, it was clear that smartphones and iPhones were having a huge impact on the trade-in market. In 2012, there was an almost even split between the number of featurephones (31%), iPhones (31%) and smartphones (38%) that were being traded in. As the iPhone has taken a stronger hold on the market, the share of trade-ins for iPhones has grown. And today, while only 2% of phones that are traded-in are feature phones, 64% are iPhones. But where exactly does a second-hand device end up? There are a few roads it could take. Firstly, a second-hand iPhone could end up in a developing country - many parts of Asia and Africa have huge appetites for used iPhones. While the iPhone holds great status for consumers in these regions, the high price tag means they’re often unaffordable. A used iPhone can however, provide the same status, but at a much lower price. A second-hand iPhone could also be used to help improve quality of life - you can read more about our work with Facebook and Medic Mobile and providing devices to healthcare workers in Kenya here. A used iPhone could also end up in the hands of an insurance company. With consumers increasingly unable to live without their iPhones and smartphones, more investment is being made in insurance plans. For insurance companies, it’s not economically feasible to pay out for a $500 device each and every time a device breaks or gets dropped down the toilet. A high-end refurbished phone on the other hand, provides a much more affordable solution. There is no doubt that the iPhone has impacted our lives for the better. By bringing connectivity to the masses, it is a device that many of us couldn’t live without. It’s also having profound effects on markets around the world, allowing more people to enjoy the device more affordably. 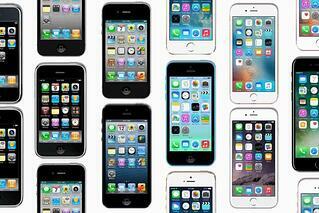 So, here’s to another 10 years of the iPhone, and the innovations Apple will continue to bring to the market.